Part of my goal for the blog this year is to swatch some of the older but still just as awesome shades from my polish collection. 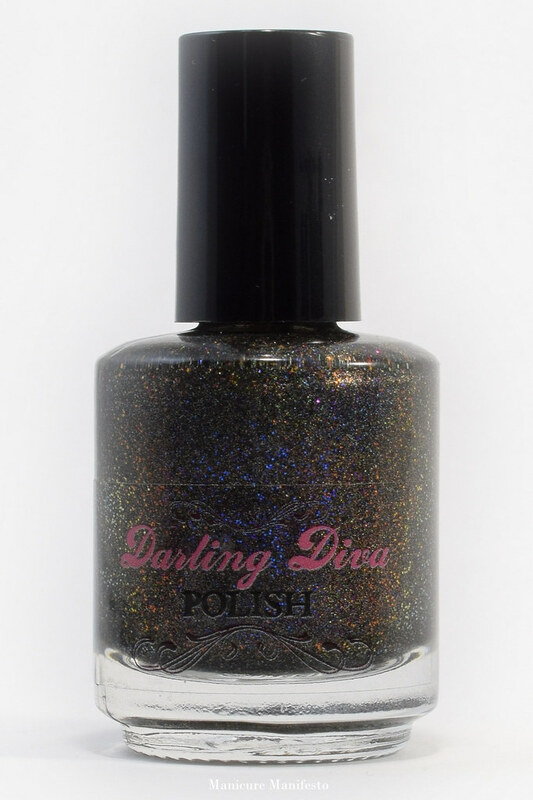 Darling Diva Polish Bitchcraft, was part of one of the first indie indie purchases I ever made. They're also one of the first brands I worked with as a swatch (back in The Lazy Laquerista days) so DDP seemed the perfect way to start off this initiative. 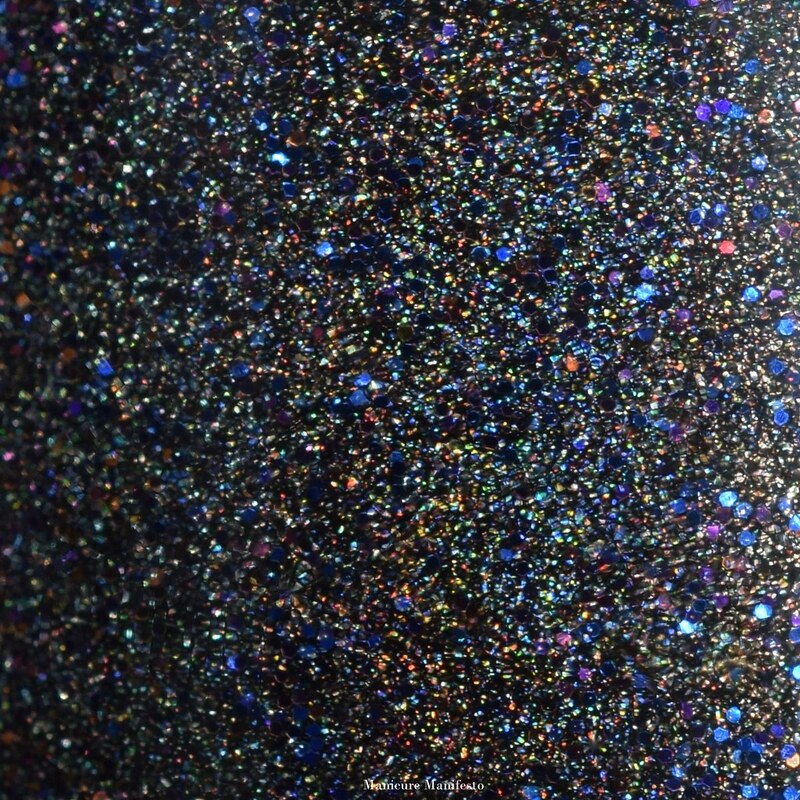 Bitchcraft features a black hollow base with small blue glitters and a golden flash that comes out in shaded lighting. 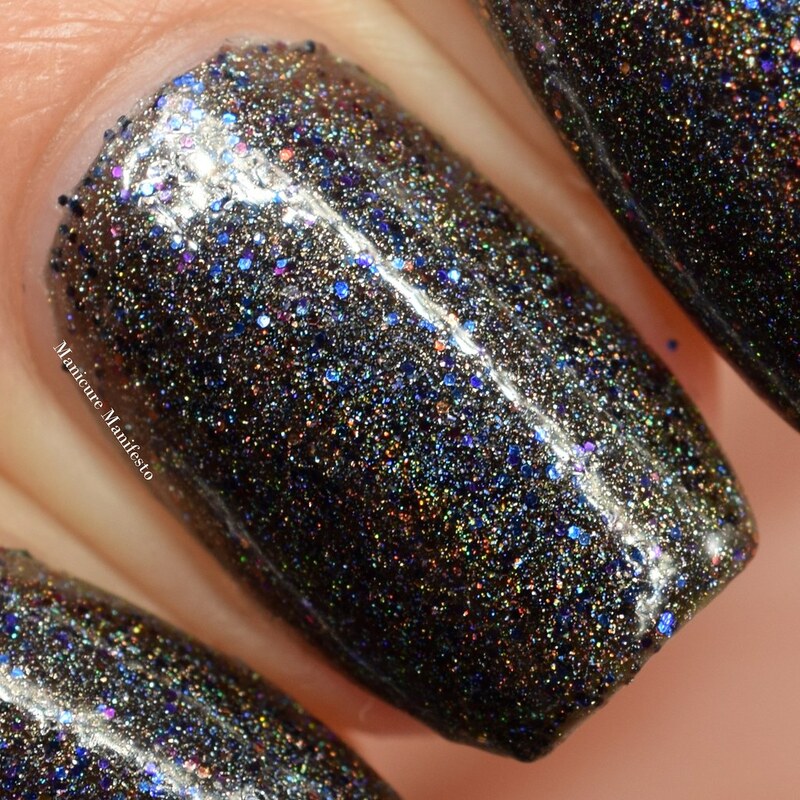 The formula was somewhat sheer but it did layer nicely and became opaque in three coats. This dries with a slight texture so I definitely recommend top coat. A single coat is enough to smooth everything out to a shiny finish though. Photos show three coats of Bitchcraft with one coat of Sephora X Shine XCEL top coat in daylight spectrum lighting.